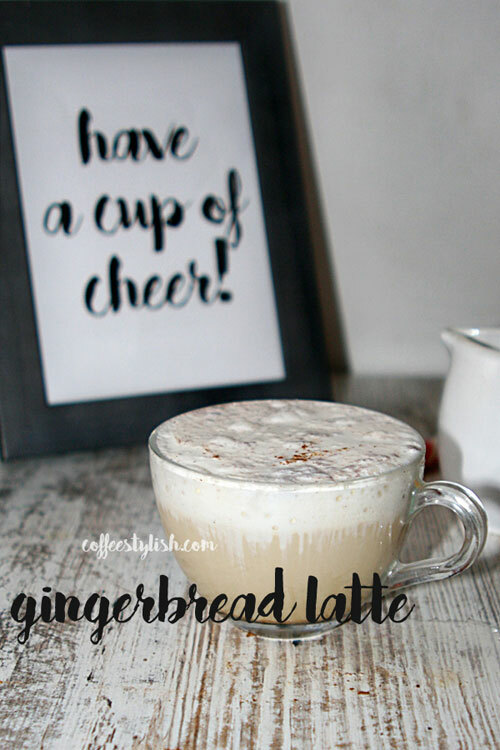 Gingerbread lattes are pretty popular around the holidays, so today I am going to show you how to make a gingerbread latte at home. While the recipe is a bit more complicated than I usually like to make, it’s definitely worth the extra effort. Enjoy! Make a syrup: In a small saucepan, combine water, sugar, ginger, and cinnamon. Bring to a boil. Once boiling, reduce heat to low and allow for the syrup to simmer (10 -15 min). Remove from heat and let cool. If you reach a syrup consistency earlier, remove from heat, 15 minutes is a guideline. Latte: Put gingerbread syrup in a cup, add coffee, sugar, and stir. Froth the milk, add to coffee-syrup mixture and stir again. This needs nothing more than whipped cream and a pinch of ground ginger (or nutmeg) for garnish. What a fun latte! Perfect for holiday company! I am so glad you like the recipe. You’ll see, it’s delicious. Thank you for taking the time to stop by. Cheers!